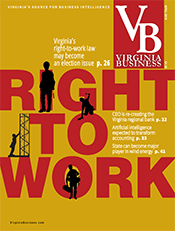 Federal government jobs remain a pillar of Northern Virginia’s economy, especially in the areas closest to Washington, D.C. 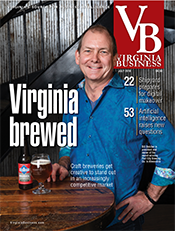 But last year Northern Virginia found a number of ways to diversify, expanding in cybersecurity, health care, pharmaceuticals, biotechnology, aviation, drones, retail and beer. Here’s a roundup of activity in five localities. 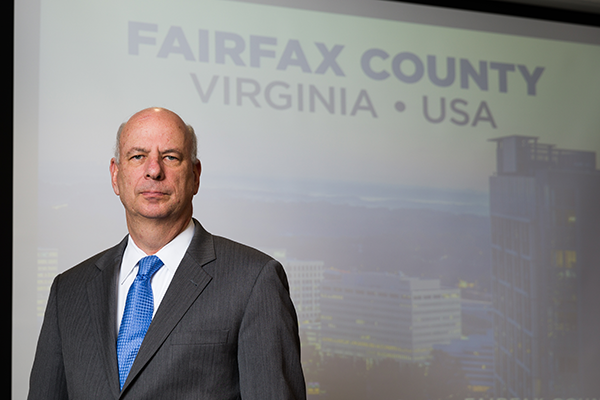 Fairfax County, Virginia’s most populous county, last year saw growth “across the board — federal, private, service, IT, growth from within, growth from without,” according to Gerald L. Gordon, president and CEO of the county’s economic development authority. “All of those things are important because they take us further from relying on federal contracting and its rise and fall,” Gordon says. Last year certainly had its ups: The Transportation Security Administration (TSA), an agency of the U.S. Department of Homeland Security, finally moved its headquarters to Springfield after a long court battle. The move brought 3,000 jobs to the county. And, in its first year, the Trump administration has shown support for budget increases for Homeland Security, the Department of Defense and Department of Veterans Affairs, all agencies that represent a high percentage of the federal jobs in the county. 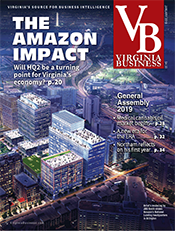 Amazon Web Services, the cloud subsidiary of Amazon that already had a large presence in the area, announced plans last summer to open a new East Coast corporate campus in Herndon, adding up to 1,500 jobs (see related story on Page 26). 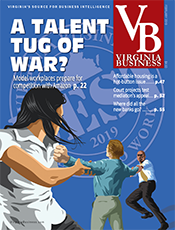 Favor TechConsulting brought its headquarters — and about 1,200 jobs — to Tysons, while Mission Services Inc. added about 400 jobs to the area. Iomaxis announced plans last year to invest a total of $3.8 million to expand its operation in the county and is expected to add about 560 jobs. In November SAP National Security Services Inc. announced plans to add 95 jobs and invest $6 million to expand its IT and cybersecurity operations in the county. 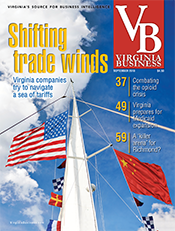 Granules Pharmaceuticals Inc., an India-based company that develops generic products, brought 100 jobs to Chantilly, adding more diversification to the Fairfax market. 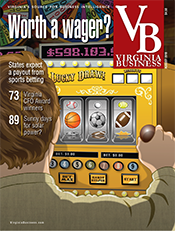 Data centers and distribution centers remained the hottest sectors in Prince William County, but the single biggest new job source last year was a giant hunting and recreation gear store. Cabela’s, which opened its 79,999-square-foot store in March, added nearly 200 jobs to the Gainesville area, says Jeff Kaczmarek, executive director of Prince William County’s department of economic development. 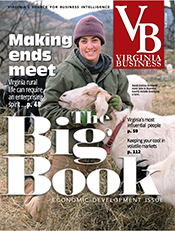 Overall, Prince William last year handled deals worth $850 million that are expected to create a total of 950 jobs, according to the economic development department. 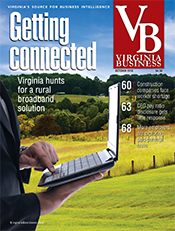 The county passed 3.5 million square feet of data center space this summer. 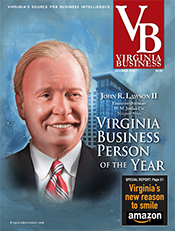 Last year Iron Mountain opened its first data center in the Manassas area, employing about 50 people, and now is making plans for a second building. These developments haven’t been the county’s only source of growth. Prince William is home to one of the fastest-growing biotechnology clusters in the area, with a science incubator associated with the George Mason University Science and Technology Campus in Manassas. Last year, Ceres Nanosciences “graduated” from the incubator, moving into 9,100 square feet of renovated commercial wet lab and office space. Ceres produces “nanotrap” technology that deals with applications in assessing infectious diseases. Prince William’s portfolio currently “is nicely balanced,” Kaczmarek says. The economic development office is conducting a target industry study this year to ensure that the county remains positioned for continued growth. Some of the county’s top wins for 2017 include: CIS Secure Computing Investment: $12.4 million investment, 65,300 square feet, 180 jobs; DRS Global Investment: $3 million investment, 40,000 square feet, 180 jobs; and EIT Investment: $37.5 million investment, 75,000 square feet, 145 jobs. The eastern part of Loudoun County has responded to market demand with mixed-use development around “the Metro stops that are incredibly important to the future,” Rizer says. “That’s what businesses are telling us they’re looking for — offices in a walkable environment.” Phase 2 of the Dulles Corridor Metrorail Project is expected to be completed in 2020. Two research-related companies decided last year to call Arlington home. The American Institutes for Research (AIR), a behavioral- and social-science research organization, announced plans in November to invest $12.5 million to relocate operations from Washington, D.C., to Arlington’s Crystal City area. The move will bring 320 jobs. “They work with a lot of nonprofit groups and nongovernmental agencies. 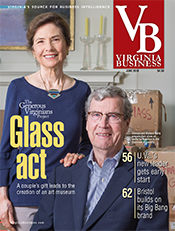 It’s a great location for them,” says Victor L. Hoskins, Arlington economic development director. And Gartner Group, a Connecticut-based information technology research firm purchased CEB Inc., the research and business advisory firm formerly known as Corporate Executive Board. CEB had about 1,300 employees at its headquarters directly across from the Rosslyn Metro station. Nestlé USA, a subsidiary of Nestlé S.A., announced in early February 2017 its decision to move its corporate headquarters from California to Arlington. At the time, the company said it planned to lease space in a 35-story building in Rosslyn. From an initial commitment for 206,000 square feet, Nestlé has added 50,000 square feet, or two floors worth, for more conference rooms and amenities, including test kitchens, Hoskins says. By the end of 2017 about 230 employees and contractors were working from the company’s temporary office at 1101 Wilson Blvd. Nestlé estimates it will bring about 750 jobs to the area. Hoskins says about 60 percent of the jobs are expected to be filled by people from the region and about 40 percent will transfer from California. To encourage that process, Arlington introduced a new tool in 2017 — the Gazelle Grant, a program that offers $10,000 to $150,000 to fast-growing, “gazelle” technology companies with proven financial success. The National Science Foundation, with an estimated workforce of 2,100, made its move into Alexandria in August, setting up shop in a new 700,000-square-foot office building located at the Eisenhower Avenue Metro station. Plans for the move of the independent federal agency, first announced in 2013, created a ripple effect over recent years in development of apartment, hotel, retail and office space, Stephanie Landrum, president and CEO of the Alexandria Economic Development Partnership, said in a statement. And last year Asana Partners acquired two major portfolios. The real estate investment company now owns dozens of buildings along the King Street corridor in Old Town. The city’s waterfront development plan moved closer to completion with the opening of the boutique Hotel Indigo and the new Old Dominion Boat Club. Alexandria is fighting the decline of brick-and-mortar retail stores with a pop-up program called Pop-up ALX. The economic development partnership opened 116 King Holiday Pop-up in November 2016, then reopened it for the spring and summer of 2017 as 116 King Seasonal Pop-Up. “For the holidays in 2017, 116 King returned, and we facilitated two other pop-ups — Gallery 104 featuring art from a local artist and architect, and an Ugly Christmas Sweater store — so we had three stores open in November and December,” says Landrum. 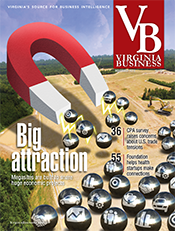 This year will see the continued build-out of Potomac Yard, with new office headquarters for the National Industries for the Blind and the American Physical Therapy Association taking shape, along with a new Choice Hotels’ property and Kaiser Permanente offices and facilities, according to Landrum.